No matter what diet you’re following, we can all agree that getting in those essential nutrients throughout the day gets tough. Maybe you’re stuck in traffic and the only stop around you is a fast food restaurant. Or maybe you’re trying to build muscle but you have trouble finding those extra calories. When you need a fast, convenient, and healthy snack, ready to eat supplements are the way to go. Want a quick shot of protein? Many ready to eat supplements are packed with muscle building protein and healthy supporting vitamins and minerals. Need to support fat loss? 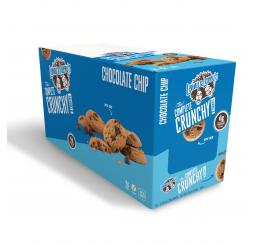 There are cookies that contain thermogenic ingredients without sacrificing flavour! Need a convenient way to snack throughout the day? Check out the collection of ready to eat supplements at the Amino Z website. With ready to eat supplements, there’s no guesswork involved. You don’t have to worry about calorie counting or if it will ruin your diet for the day. Ready to eat supplements are specifically designed to complement your diet, regardless if your focus is on muscle building or fat loss. Best of all, these ready to eat supplements help you alleviate that craving for junk food with their amazing flavour. Why Buy from Amino Z? When you want to indulge in cookies and brownies without jeopardizing your diet and results, you can call on Amino Z.
Amino Z has one of the largest selections of ready to eat supplements from brands you know and love including Quest, Lenny & Larry’s, and ProSupps. You can snack happy with our product guarantee. If you aren’t satisfied with your ready to eat supplement, let us know and we’ll take care of it. That’s the Amino Z product guarantee. Click here to learn more.